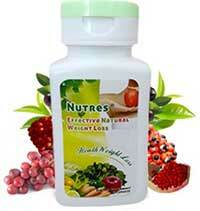 Nutres is a diet pill marketed by Nathans Natural. The company says the pills are produced in Great Britain, but the prices listed on their website are in American dollars, so it is unclear where the pills are likely to be shipped from. Either way, it seems likely that the shipping time to Australian territories is likely to be at least seven days and could possibly be more. Nathan’s Natural used to market a product called Nuvoryn and it accrued a shockingly high number of customer complains. Many people said the product did not work and became outraged when Nathans Natural refused to honour their money back guarantee. The product was removed from the market, given a new label, and returned as Nuvoryn and Revolyn. The official Nuvoryn website is no longer online, but the pills are still available on Amazon. Now the same formulation has been rebranded as Nutres and Nathans Natural are no longer promising a money back guarantee. What is Nutres and How Does it Work? If the pills are capable of doing these things, the metabolism will be increased and the body will start to burn calories at an increased rate. If the pills are used in conjunction with diet and exercise, there is a good chance the body may grow so short of calories it will be forced to start freeing up its reserve supply of calories by burning its stores of fat. This situation will result in weight loss, but the calorie shortage that delivers the results may also lead to feelings of fatigue. Nathans Natural have added two caffeine-providing ingredients to their formulation to try and prevent this from happening. Caffeine has the ability to do this, but its presence will make the pills an unsuitable option for anyone who does not tolerate caffeine well. Nathans Natural say Nutres contains nine ingredients, but only seven of them are disclosed on their website. Green Tea: A proven fat burner that can enhance the health and protect the body from disease. Guarana: A fruit that is loaded with caffeine and releases it so slowly the effects can last for some time. Caffeine is good for boosting energy levels, and is also a proven fat burner. It’s a versatile ingredient that can be found in many diet pills, energy drinks and nootropic supplements. Yerba Mate: A natural ingredient that contains caffeine. It releases it faster than guarana, and the effects will wear off sooner, so the pairing of the two could prove to be effective. Resveratrol: An article published in Natural News states resveratrol can assist weight loss and also rejuvenate the heart and brain. Pomegranate Extract: Pomegranate contains anthocyanins, tannins, and antioxidants that appear to have the potential to assist weight loss, but experts say further study is needed. Siberian Ginseng: A popular adaptogen herb. Ginseng is famed for its ability to encourage good health and researchers have discovered it may also have value as a weight loss aid. Damiana: An extract taken from a species of shrub. Damiana is not normally considered a weight loss provider, but many people believe it has the power to increase sexual potency. Usage Instructions – The capsules can be take with or without food and only two capsules are required per day—one in the morning and a second in the evening. The Nutres website has several reviews that are attributed to people who successfully lost weight taking the pills and one woman says she lost 56 pounds in six weeks. Reviews published on manufacturer’s websites are not always trustworthy though. In this case, all the reviews and before and after pictures appear to be identical to those used on the Revolyn and Nuvoryn websites. This is a further indication that the products are one and the same and many customers who left reviews on Amazon stated the formulation let them down. Nathans Natural are adamant side effects are unlikely to be a problem for anyone unless they are allergic to any of the ingredients. This is nonsense. The formulation contains caffeine and some people do not tolerate caffeine well. The fact that the formulation also appears to contain two unlisted ingredients is a worry. How can potential users be sure they are not allergic to a formulation when they are kept in the dark about some of the ingredients it contains? All potential users should err on the side of caution and ask their doctor’s advice before they begin supplementing their diet with Nutres. Each bottle of Nutres contains enough pills to last 30 days. At the time of this review they were only available from the official product website and the price per bottle was USD$ 19.95 (AUD$ 26). Nathans Natural does not offer a guarantee for this product. Nutres is a difficult product to review. 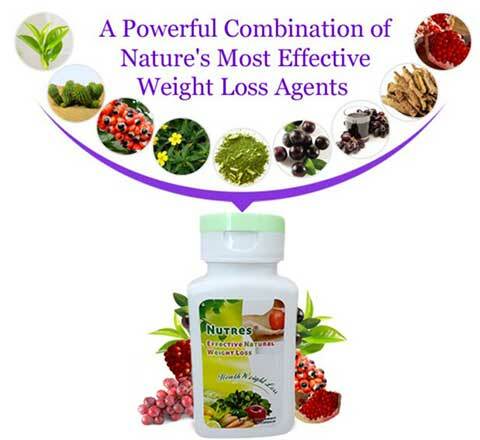 The formulation contains ingredients that should help people to lose weight, but the fact that so many people have complained about the original version (Nuvoryn) suggests the pills don’t work for a lot of people. This could be due to a number of reasons. First of all, the inclusion rates are not stated and it is possible they may be too low. Secondly, Nathans Natural fails to stress the importance of diet and exercise. If people are buying and using the pills, but still maintaining the same lifestyles that caused them to become overweight in the first place, the chances of success are slim. The fact that the formulation lacks any strong appetites suppressing ingredients is also an issue. Many dieters need help to keep their cravings under control and Nutres is not equipped to give them the support they will need. Dieters who have the willpower to ignore their cravings, and are prepared to make the necessary lifestyle adjustments, may find Nutres helps them to lose weight a little faster. But if it doesn’t a refund is not on the cards. 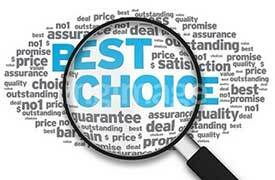 We recommend lokking at a product with a proven track record of success and great customer service. For this reason we highly recommend PhenQ with it’s multi benefit mechanic of action. PhenQ also ships to all countries without a delivery charge and has an unlimited 60 day money guarantee.